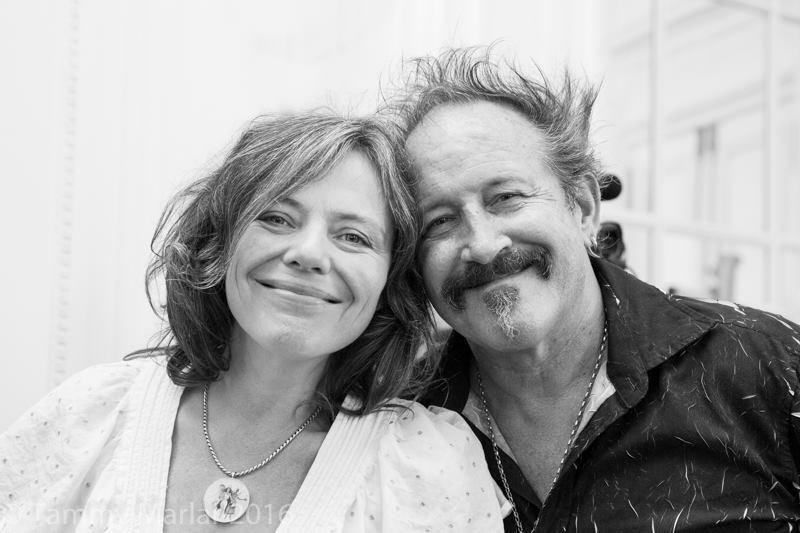 [caption id="attachment_10761" align="alignright" width="330"] Steve Eggleston[/caption] By Matt Mellen Control the narrative and you control reality. Stories are the fundamental unit of human culture. They literally make the world go round. Steve Eggleston not only understands this, he has created a business around it. The results are staggering. The individual can make a difference. With the support of such an accomplished expert, and with passion, focus, and a clear mission -- no story is too big, too small, or too complicated. If you have a story to tell but are unsure how to get it out into the world, here is a one-man powerhouse who will find your story, tell your life in words, and conjoin the two poignantly to the page. “I’ve literally been writing all my life,” says Eggleston when I asked him how he got started. “But it you had to put a starting line to it, I would go back to sixth grade, when I was 12. My father was stationed at Westover Air Force Base in Puerto Rico (he was a B52 pilot), and my best friend, Gary Canzoneri, needed to do a semester report. Why I offered to do it for him, I do not know, but I did, and my mission was to handwrite a 100-page report on the USSR - the United Soviets Socialist Republic - against whom America was in a deep-freeze cold war. My parents had the full Encyclopedia Britannica series, so I needed to go no further than the bookshelf in our house.” Eggleston currently writes between Las Vegas, San Francisco, and a cottage in Somerset, England, where he is married to the love of his life, Dana Amma Day. Somerset is a long way from the metropolitan city, but precisely where the annual festival juggernaut called Glastonbury takes place. Perhaps it isn’t a coincidence that Steve has found himself on this hallowed magical Avalon turf. His life has been a riot of colour, music, adventure and professional success, with the Internet Age enabling him to pursue his craft anywhere in the world. “All I need is a laptop, a keyboard, preferably a roller mouse, and an internet connection,” he says, “and I can brew up a wonderful story, shine light in dark places, and enable people to publish works like memoirs, biographies, original fiction stories, inspirational self-helps, you name it.” He is taking on commissions to write and the results are impressive to say the least. His first fiction book, the legal thriller that put him on the map for fiction and inspired-by true crime stories, is Conflicted. “Actually, Matt, we’ve started with one I wrote entirely myself, except with the regular critical input of my lifelong best friend, John Neyer. I fully rewrote Conflicted three times,” laments Eggleston. “I wrote it in three different tenses - past, present, and present progressive - and from several different points of view - third person, first person lawyer, first person detective and bestfriend - before landing on first person detective-bestfriend present tense progressive.” Sounds complicated, but Eggleston explains that “writing a God’s honest book with publication potential, is one dash hard science, one dash inspired art, and one shake of never-say-die.” In doing the research on Conflicted, you can see how important it is for a writer to get that big break. For Eggleston, it was a review from a well-known author. “The legendary Peter Miller was my literary manager, and because of his gravitas (one of his early books was Vincent Bugliosi’s Helter Skelter, the #1 true crime story of all time), we submitted it to 17 x New York Times legal thriller bestseller, John Lescroart. Because Peter was behind me, John agreed to read it and then boom, the review came back and I was literally in tears. Lescroart emailed me, ‘Dear Steve - Killer book. I loved every page of it. 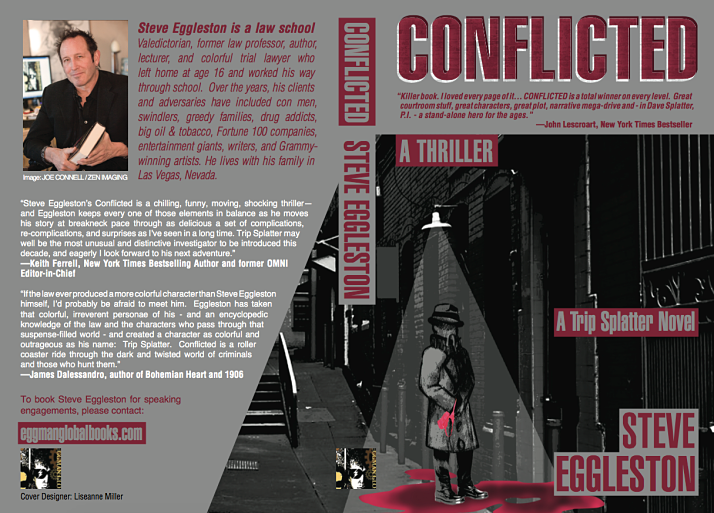 For attribution, use any or all of the following: As a San Francisco legal thriller guy myself, I can promise you that Steve Eggleston's CONFLICTED is a total winner on every level. Great courtroom stuff, great characters, great plot, narrative mega-drive and -- in Dave Splatter, P.I. -- a stand-alone hero for the ages. 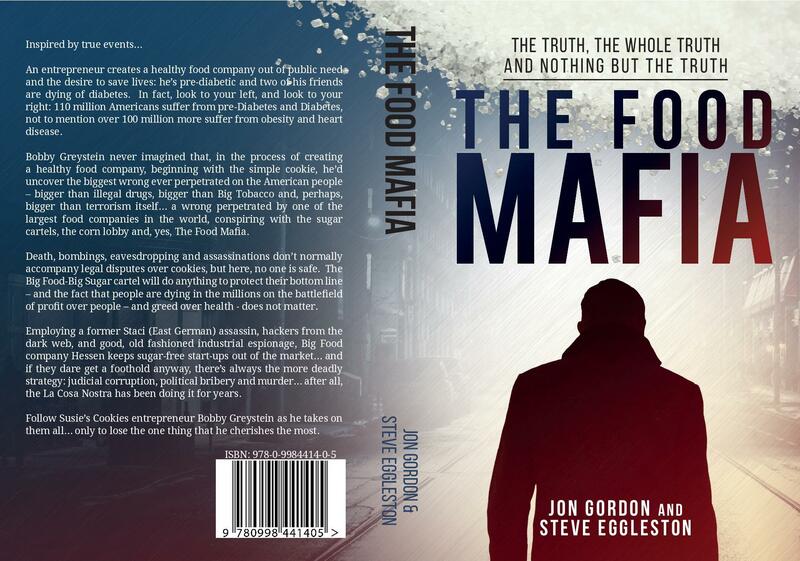 All the best, John.” The Food Mafia (Steve’s third book) further illustrates the power of a good review. Based on the Lescroart review and a personal read of Conflicted, motion-picture veteran Jon Gordon reached out to Steve to help him tell the Clemmy’s Ice Cream saga. At the time, Jon was reeling from a sustained and vicious attack from corporate giants fighting dirty to protect their profits. He had launched a truly sugar-free, gluten-free ice cream which in his opinion threatened the Food Mafia’s absolute control of the processed food market. It turns out sugar is highly addictive (much like tobacco and cocaine) and its ubiquity in the modern diet is not by accident. But you’ll have to read the book to find out how, “and of course, the book is fiction,” Eggleston cautions, “but more often than one realises, art mimics reality and vice-versa, each holding a scary mirror to the other.” With The Food Mafia quickly gaining major motion picture interest, Steve powered on and completed another co-write with Doctor Kenneth Polke, whose inspired-by memoir was recently published in hardback. It’s an amazing tale of a poor kid growing up in “Bomb City USA,” the once-mafia town of Collinwood (a suburb of Cleveland). Polke survives the pull of organised crime, never starts on his high school football team, and in a Rudy moment goes on to play Quarterback for the world championship Miami Dolphins football team the year after they win every season game, post-season game, and the Super Bowl. A review of the book by Duane Martinz, author of Becoming Your Own Champion, exclaimed: “If you want to achieve your dreams, just make a change, or in any way get more out of your life, then read this book. It’ll help you become the champion of your life. It’s a masterpiece!” Steve’s diversity is quite extraordinary, and if you’re like me, you’re wondering where his wheelhouse is. I recently received a draft of his co-write with 40-plus year Australian pharmacist Suzanne Ridley, which (hold your hat), is a non-fiction book about Diabetes and health. The working title of the work is Ridley’s Fast Diabetes-free Solution. “It’s one of the most profound and truly inspiration books I’ve ever been asked to help write,” says Eggleston about the yet-to-be published book. “I now live Ridley’s solution even though I’ve never been diagnosed with Diabetes,because it’s actually a holistic book for health. Fasting, low-carb diet, eating healthy, organic food, exercise, sleep, stress management -- all are crucial, not only to reversing Diabetes, but to living a long, healthy and happy life.” Because I see Steve out and about in Somerset, I also know about his cyber-thriller book, Flatline, co-written with an expert in the cybersecurity field, Kevin Swann. It’s just recently been completed and is now undergoing Beta reads and a final polish. “I’ll tell you this,” Eggleston observes, “the dystopian world that George Orwell wrote about in his epic tale, 1984, well, that’s in the rear-view mirror, as is Aldous Huxley’s Brave New World. When I was living in Napa with my brother, Mike Bates, before I got married, we started on a project which we were calling 2084, adding 100 years to the Orwell book, and already half the crazy stuff we were conceiving and writing about is passé. Unfortunately, I’ve been so busy ghosting and co-writing other people’s books, we haven’t had the time to finish it.” “How are you able to write in so many different genres?” I ask Steve out of curiosity. “It goes back to when I was a trial lawyer. When you’re working in the legal trenches, you have a dozen even two-dozen cases all running at the same time. And believe me, all of them can be challenging. Opposing lawyers, as a rule, are not friendly people, and judicial decisions can be very unpredictable, as ironic as that is in a system controlled by precedent. Well, you work on one case at at time, and when you are done, you close the file, put it aside and work on the next one. It’s a matter of intense compartmentalization, and it becomes second nature. That’s what I do with my books, compartmentalize them. Perhaps that’s what enables me to be such a chameleon.” Steve’s ability to compartmentalise, distil issues down to their vital essence and direct the key message precisely where it has to go, is borne out of his very successful legal career. At law school he was Editor of the Law Review and graduated Valedictorian, which means first in his class academically, with the honour of giving his graduating class’ Valedictory address. He went on to be an award-winning Law Professor in the field of Remedies and authored several substantial appellate decisions early in his career, including one establishing an unmarried woman’s right to collect an award for palimony (Watkins v. Watkins). “As a practising attorney, I also wrote, reviewed and edited literally hundreds of legal briefs. Writing and law are often synonymous, and I got the opportunity to work on every kind of dispute, from Breast Implants, Tobacco, and Diet Pills, to investment frauds, oil & gas disputes, medical malpractice, and music and entertainment law. In fact, it is my last big case, over the motion picture and television rights to Sheena, Queen of the Jungle, that launched me into the world of entertainment. After leaving the practice of law, Steve became the COO of One Roof Entertainment, located at Los Angeles’ vaunted downtown L.A. Center Studios, where movies like Mr. and Mrs. Smith (Pitt - Jolie) were shot. “I remember Angelina hanging from a bungee cord right outside my window one day, like ten meters away. I almost fell out of my chair, and then I rushed outside to meet her between shots!” In a very short time, he found himself writing three feature film scripts in collaboration with major motion picture studios, and then, by a twist of fate, he landed in Las Vegas (it’s only a short drive from L.A.), as COO of Vegas Rocks Magazine and Media. For the next four years, he covered, photographed and wrote about the biggest bands and celebrities in the world, including The Killers and Imagine Dragons, both of which are from Vegas. “In fact,” Eggleston says, “I booked Imagine Dragons in small shows long before they blew up.” Eventually Steve would leave Vegas Rocks and strike out on his own, working for some huge music talent. “I was very blessed to be referred to Michael Grimm by my buddy and partner Dan Smith, a phenomenal guitarist in his own right. In 2010, Grimm won America’s Got Talent and a million bucks and he was hot! He toured with Stevie Nicks for a bit and played all across the U.S., but our home base was in Vegas, where he had various residences at casinos such as Caesars. I was also blessed to personally manage and become close friends with legendary music producer Steve Thompson, who weighs in with seven Grammys and 150+plus diamond, platinum, and gold records, including mega-hits like GNR’s Appetite for Destruction and Metallica’s And Justice for All. I even worked with Jack Mack and the Heart Attack Horns for a bit, and one of the best jazz-funk bands I’ve ever seen or heard, Beat Funktion, from Sweden.” From Valedictorian lawyer, law professor, legal author, trial lawyer, filmmaker, and personal music manager, Steve went on to book over 1000 shows in Vegas and beyond. In doing so, he became immersed in the US celebrity scene which opens many doors and amplifies messages many times over. “But all that is in the past,” Eggleston says, “and in a funny way I see it as preparing me for where I’m at today. Today I’m writing full-time all the time, except for some very important consultations in cybersecurity for the legal profession and my active participation in the U.S. movement headed by my Food Mafia co-writer, Jon Gordon, to hold a Constitutional Convention that passes the 28th Amendment to the U.S. Constitution (I just wrote the draft Amendment several weeks ago) that imposes term limits on Congress, prevents Congress from becoming lobbyists, and forever drains the swamp of special interests that have proliferated in Washington like the black plague.” Steve’s writing is his super-power, but his network is also a major force. If he needs to get influencers on board, he has an enviable little black book to draw on, not to mention his wife, Dana Amma Day, who founded PostiveTV.tv and has worked with, interviewed, or done publicity for everyone from Coldplay and Simple Minds, to the Dalai Lama, Prince Charles and Satish Kumar. “Between us and the people we know, we can usually get to almost anyone. That’s why Nick Cage carried around one of my wife’s movie scripts, The Gastonbury Grail (Nick has a holiday house just up the road from us in Glastonbury), and was actually able to get it back!” Steve has a half-dozen more ghostwriting and co-writing books coming out early next year, but like all writers for hire is always looking for the next big project. 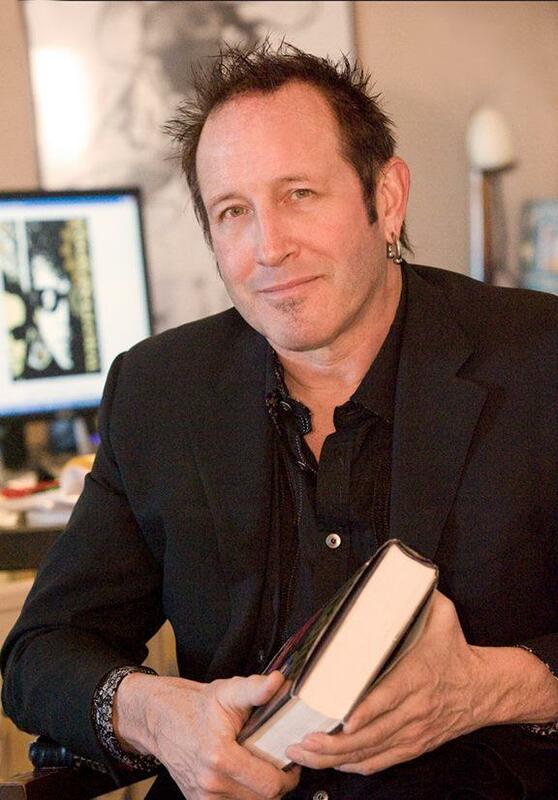 “I love my clients and co-writers and all the absolutely amazing stories they have to tell. My goal is to be the next Andrew Croft, who is possibly the most famous ghostwriter in the world. I want to tell the stories of the famous and the infamous, of justice gone right and justice gone wrong, of families who suffered unfathomable tragedy and those who rose up from the ashes to the highest of heights to find surreal happiness. There are so many people in the world with more money than God. All of them could give back and write a book, tell others how they did it, do something to better the world, and even get a movie made. Sounds self-serving, and maybe it is, but you know what? it’s true!! !” For anyone whose dream is to get their story told -- Steve Eggleston may well hold the key. Email him directly at TheEggman411@gmail.com.